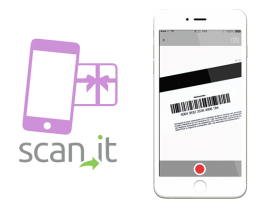 Digitalize your gift cards and pay your check with ease. 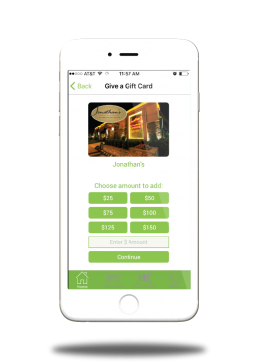 Gift.it delivers a convenient way to store gift cards and reward point balances in your smartphone – then redeem those values seamlessly (or send to a friend) either during or before each restaurant visit. Users can activate new gift card balances straight from the app, or import an existing balance by scanning the number of the back of a plastic gift card. Not only does the app allow users to redeem gift card and reward balances from the table, it also allows them to “pre”redeem a desired gift card value when making an online reservation with OpenTable. 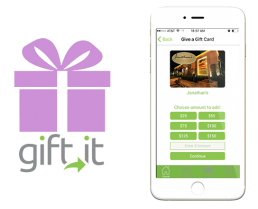 Gift It delivers a convenient way to turn plastic gift cards into digital gift cards on any mobile device. Easily convert existing plastic gift cards to digital so you can store your card balances in one accessible place. Send one to a friend, reload and redeem mobile gift cards seamlessly from iPhone and Android device(s) at no cost. Rewards and special incentives are sent right to your phone. 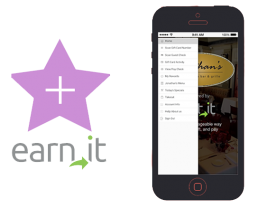 Earn points with every dollar amount spent when visiting a participating restaurant. Merchants may also choose to send users alert notifications containing incentives and time-sensitive promotions just hours before the dinner rush. Users may choose to send mobile gift cards to friends and family members along with a custom message and photo or video greeting. Friends and business acquaintances now have the ability to pay for a colleague’s dinner (or pick up a round of drinks) from a remote location with the option to inscribe a personal greeting at the bottom of the guest check. Now, there’s no need to plan ahead when it comes to buying gifts for Birthdays and other special occasions. 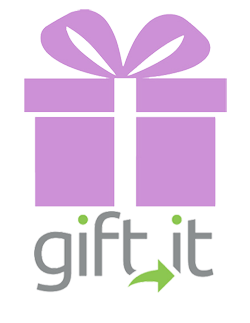 Gift.it allows you to send a gift card to a friend or family member along with a personal video greeting (optional). Or download the app now!